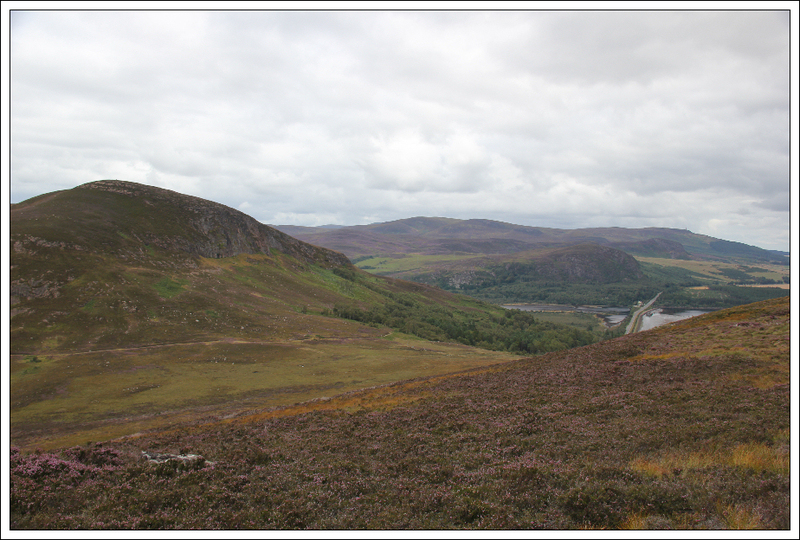 My original intention today was to visit Glen Strathfarrar for an ascent of Beinn na Muice. 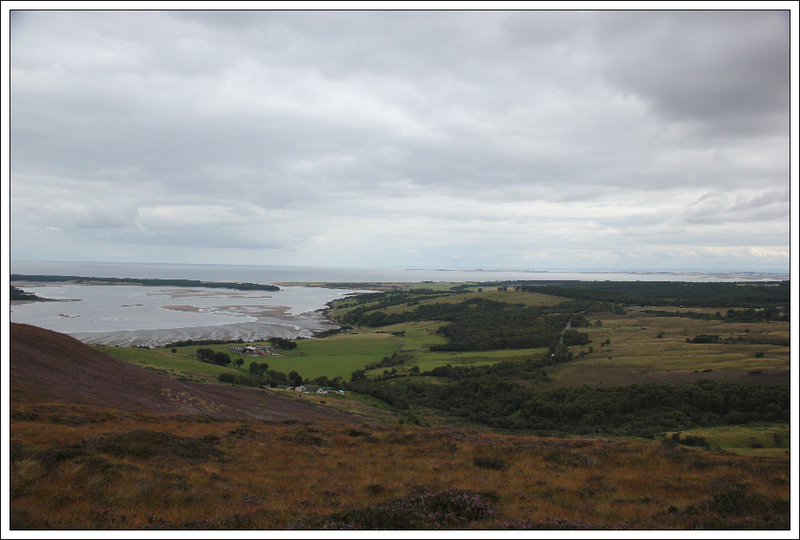 However, on reaching Inverness I could see that the weather to the North looked much nicer than the weather to the West or South. I therefore changed my plan and ventured North. 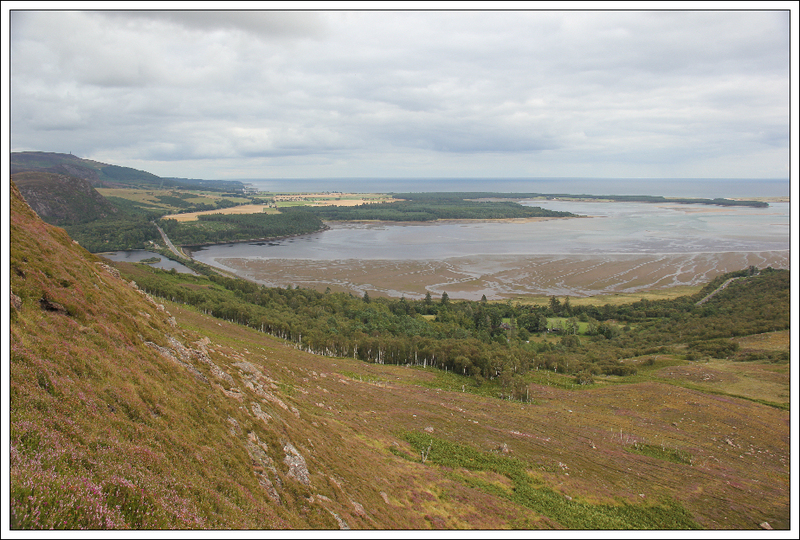 On 23rd June 2014, Creag an Amalaidh was promoted to Marilyn status following precise measurements confirming a height of 260.9m and a drop of 154m. 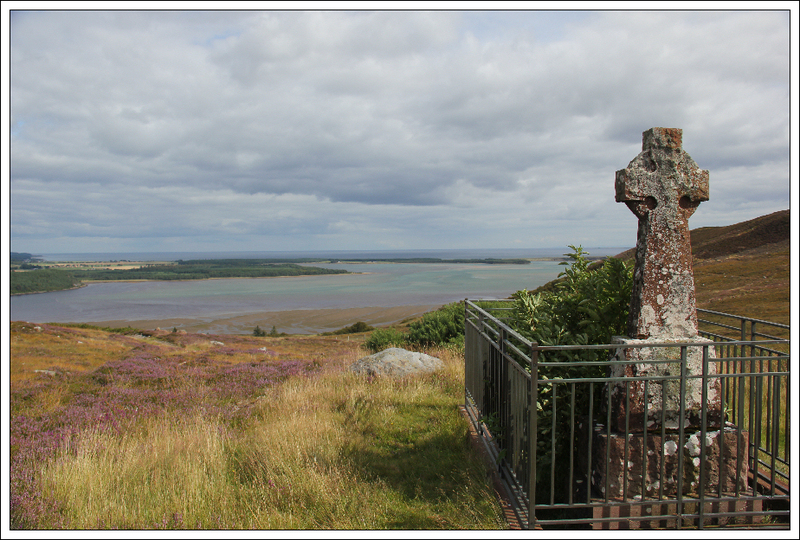 I therefore drove to between Dornoch and Golspie for an ascent of this new Marilyn. 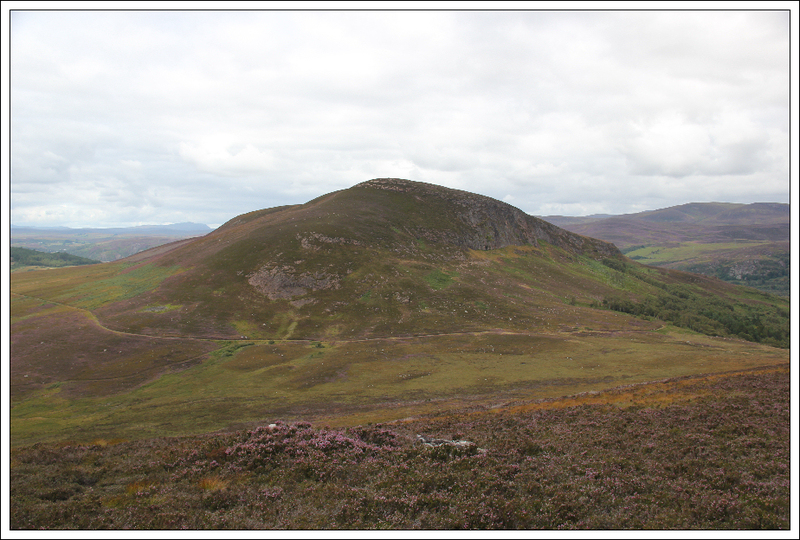 Surprisingly there was no trip report for this hill on either Scottish Hills or WalkHighlands. 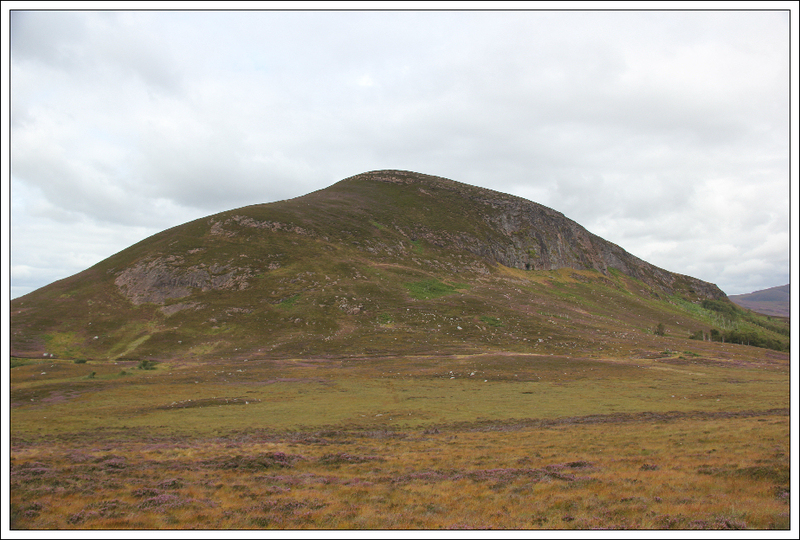 Further, not a single WalkHighlands user had logged a previous ascent of this hill. It was therefore nice to "go exploring" making up a route as I went along. 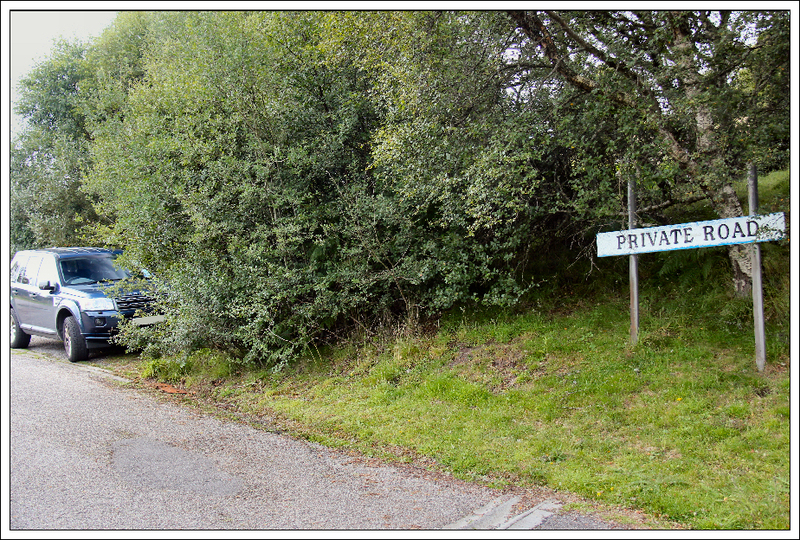 On reaching the base of the hill, I parked at the start of a private road leading up to Matron's Cottage. I then walked a short distance along the A9 until reaching a rusty gate which I climbed over to gain access to a grassy field. 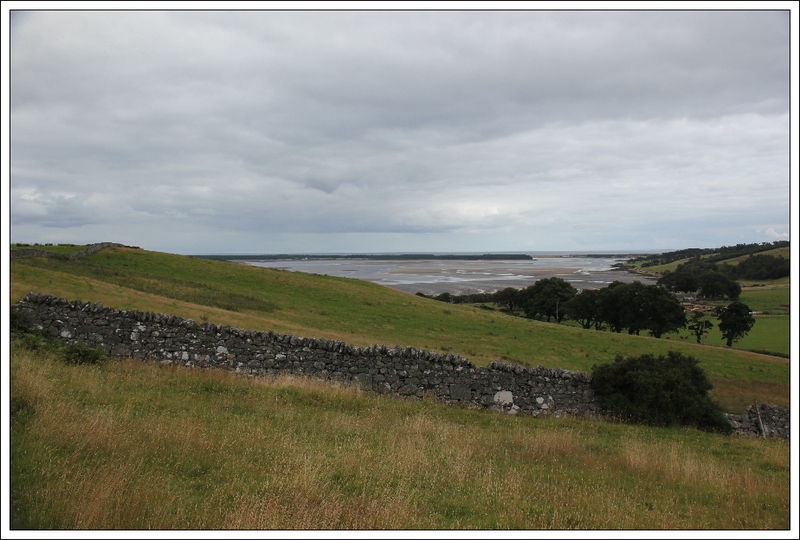 Once in the field, I made my way across to, and through, a gap in the dry-stane dyke. 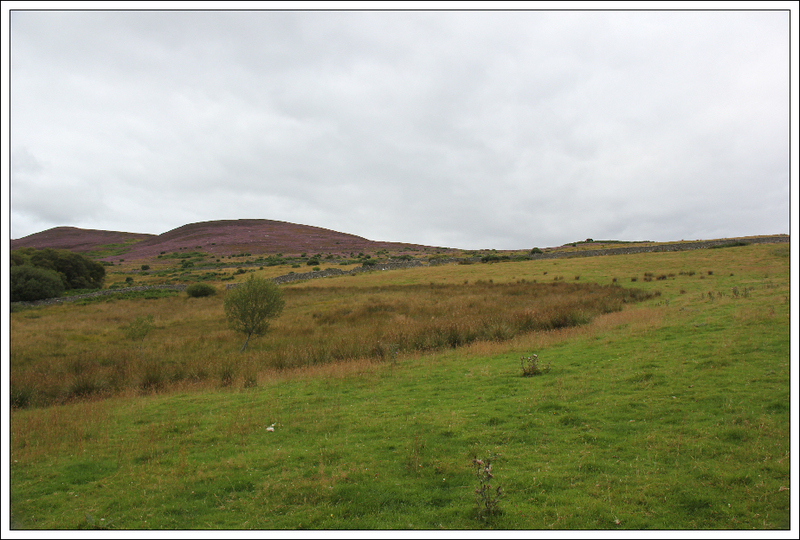 I then followed a faint track running alongside another dry-stane dyke for a short distance before climbing over the dyke. 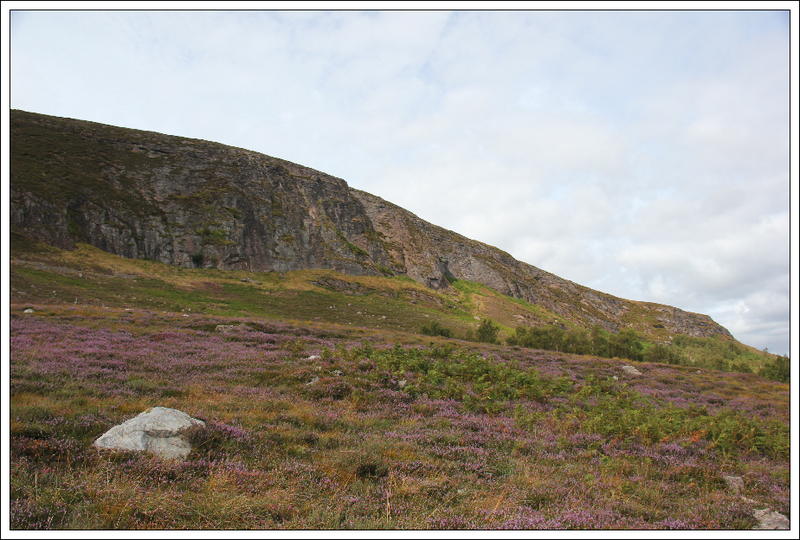 After crossing over the track leading to Loch Tarvie, I made my way up Cnoc Odhar through lots of short heather. 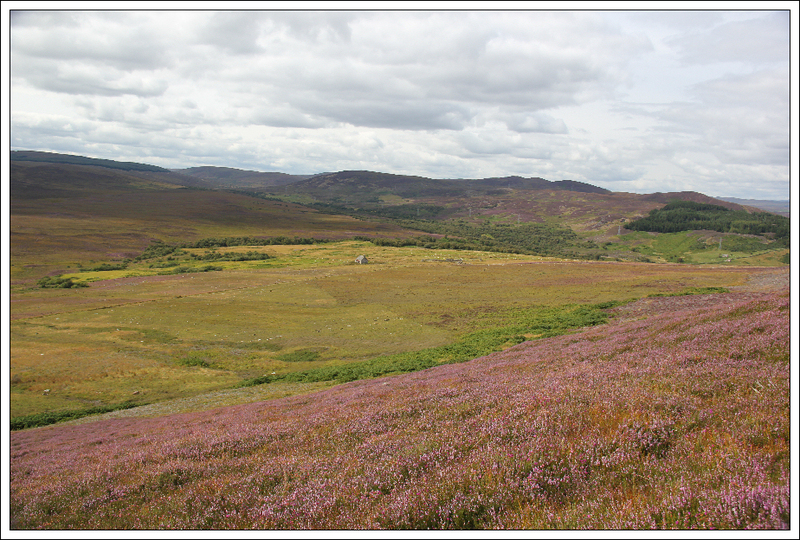 The heather in bloom looked and smelled fantastic. 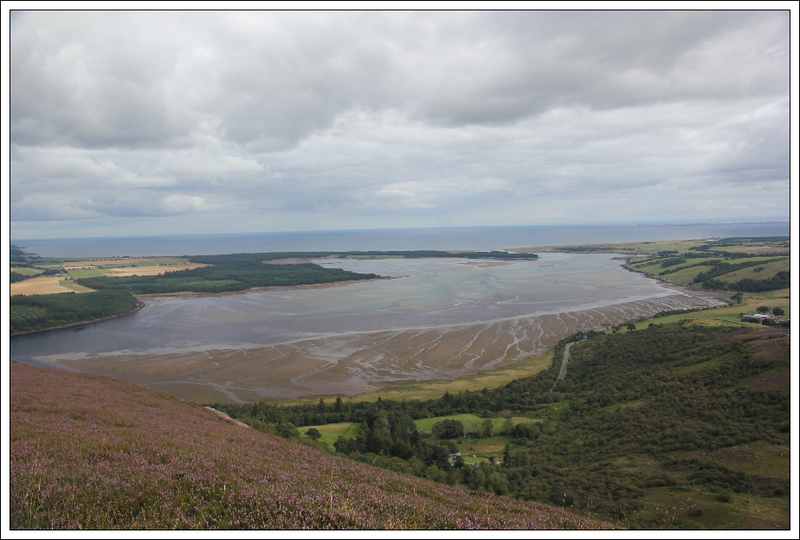 I stopped several times during the easy ascent to look back at Loch Fleet. 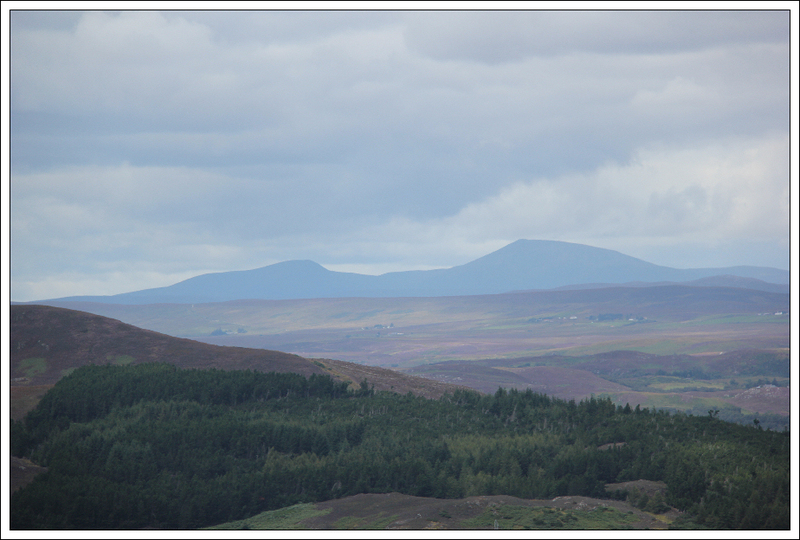 On reaching the flat top of Cnoc Odhar I could see numerous hills out West. 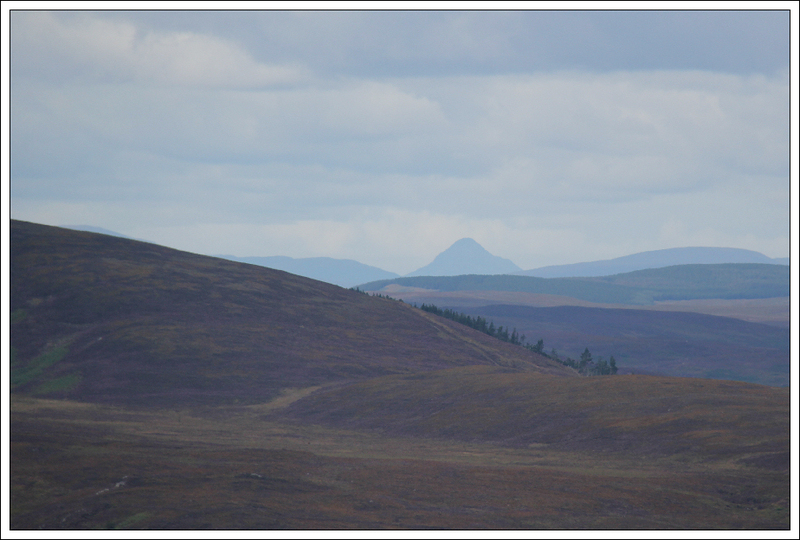 Ben Bhraggie was highly visible owing to the large Duke of Sutherland statue on its summit. In my opinion, this statue should be pulled down (as per the statue of Saddam Hussein in Baghdad). 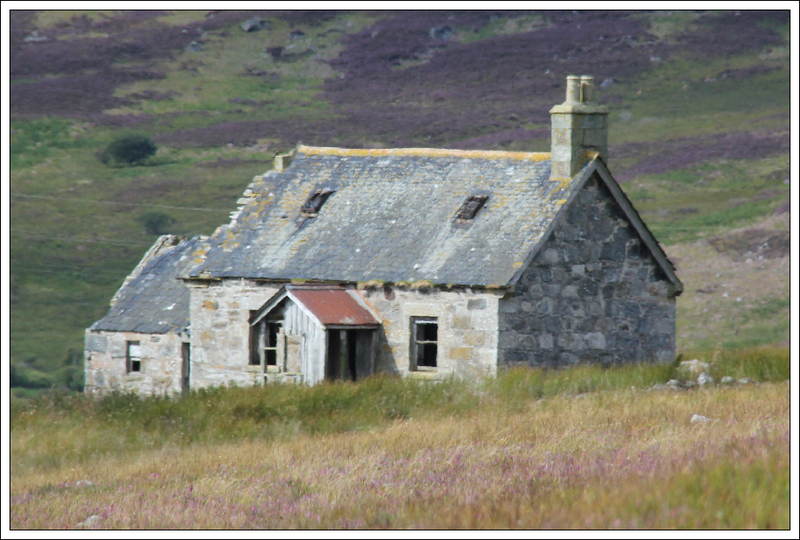 The Highland Clearances are not something to commemorate. 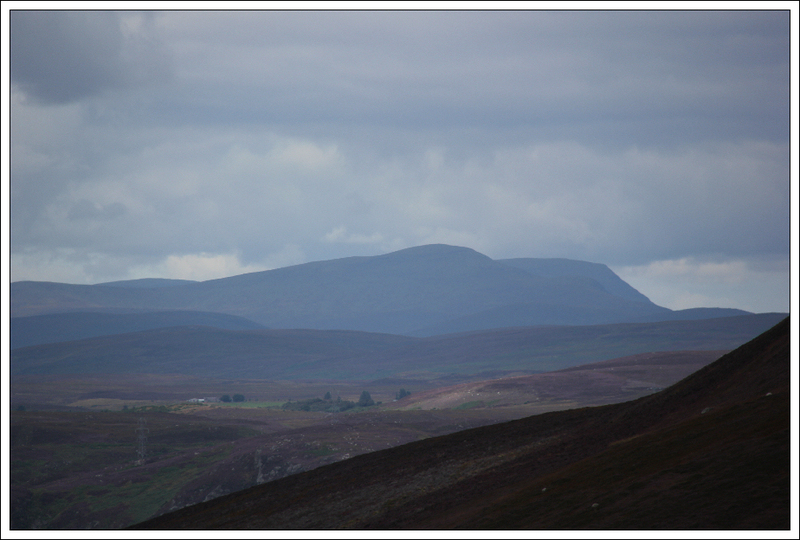 From Cnoc Odhar, I got my first good view of Creag an Amalaidh. It is a fine-looking hill with a steep crag on its south-east flank. 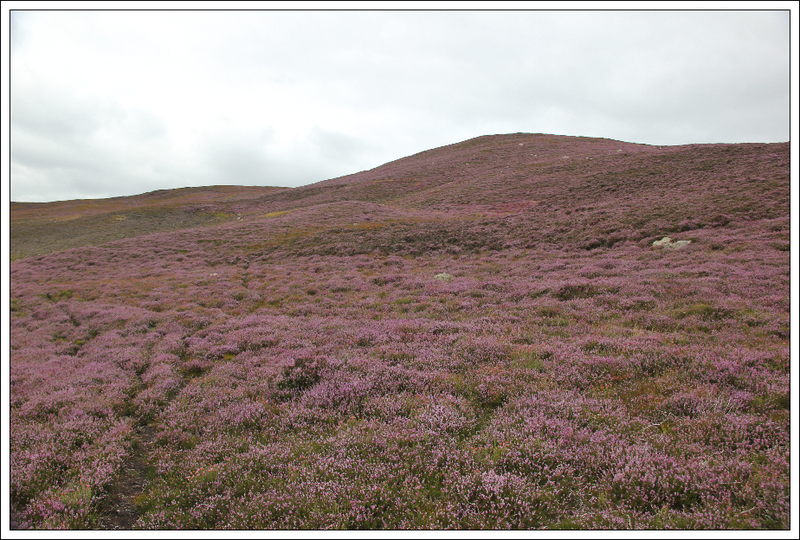 The descent to the col was trackless via deep heather compared to the ascent. 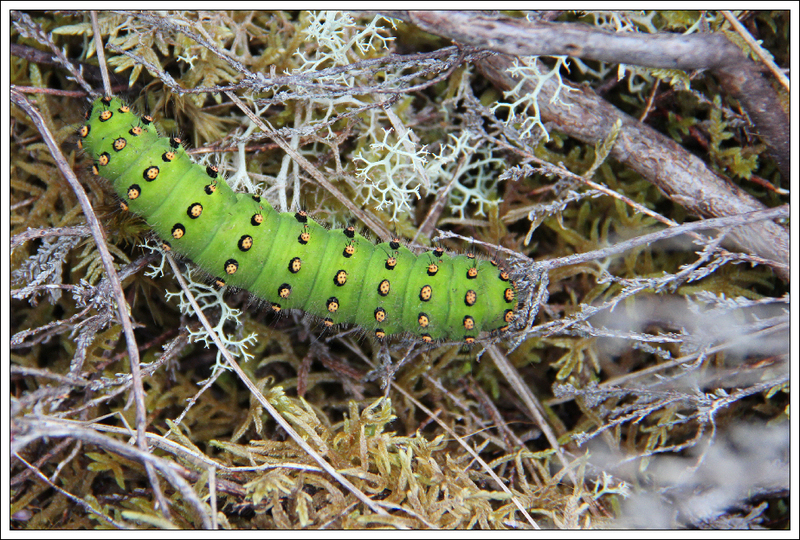 On reaching the col, I spotted a large Emperor Moth caterpillar. 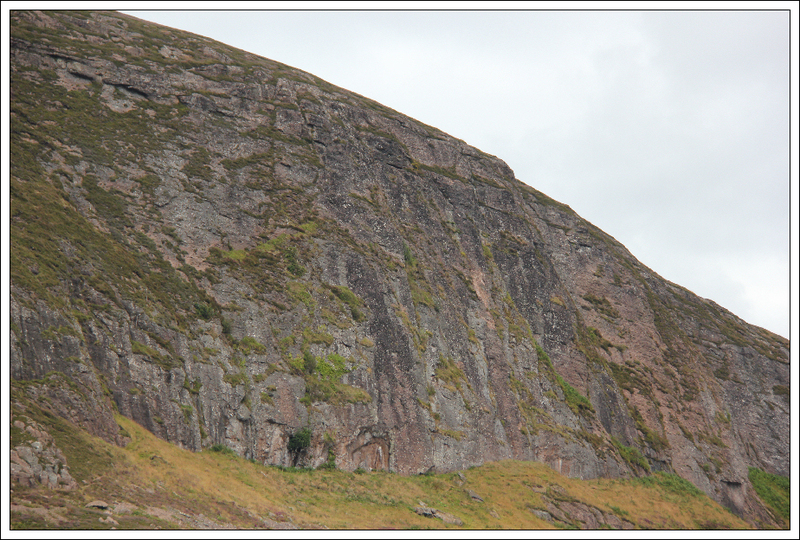 According to UK Climbing the Creag an Amalaidh crag has only recently been developed. It is conglomerate rock with 16 sport routes and 1 trad route. 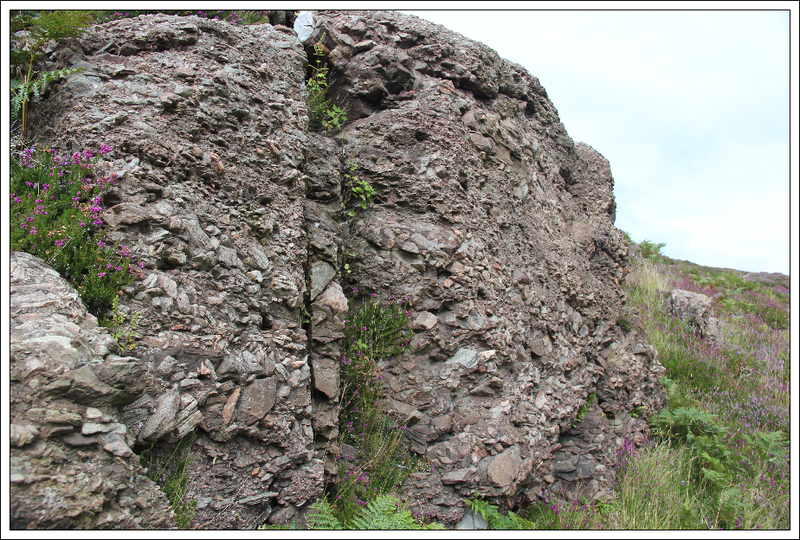 During the ascent of Creag an Amalaidh, I passed a number of very interesting conglomerate boulders. There is lots of conglomerate rock along this stretch of coast. The direct ascent from the col to the summit was very steep. A slip could have resulted in a sizeable fall. 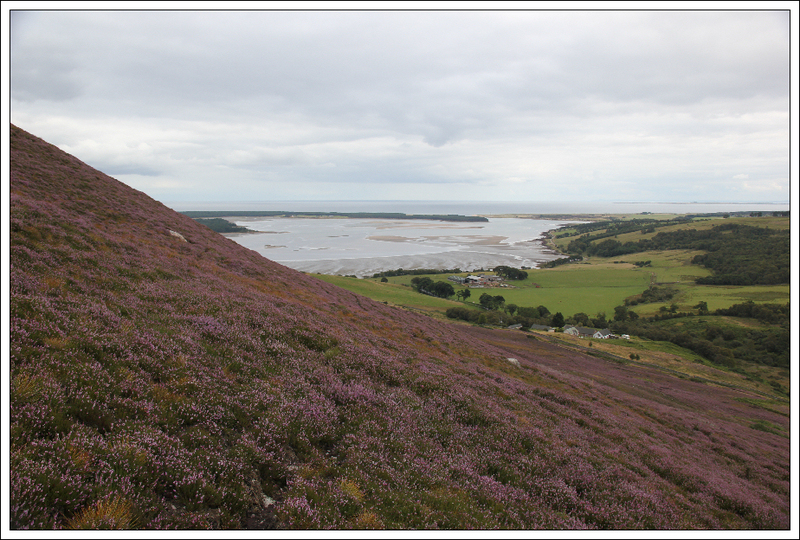 For an easier ascent, up gentle slopes, follow the track round towards Achineal. 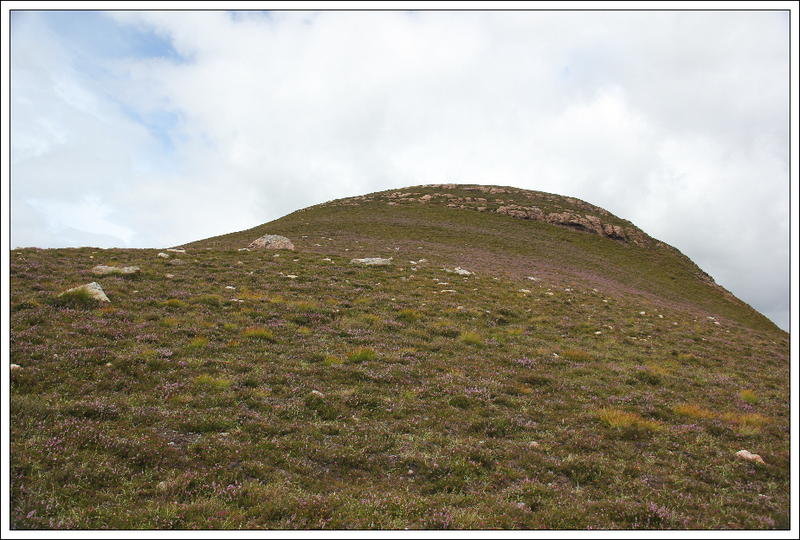 The cairn at the summit of this hill is called Princess Cairn. I am not sure which princess this was named after. After taking several photos, I made my way down towards Achineal. 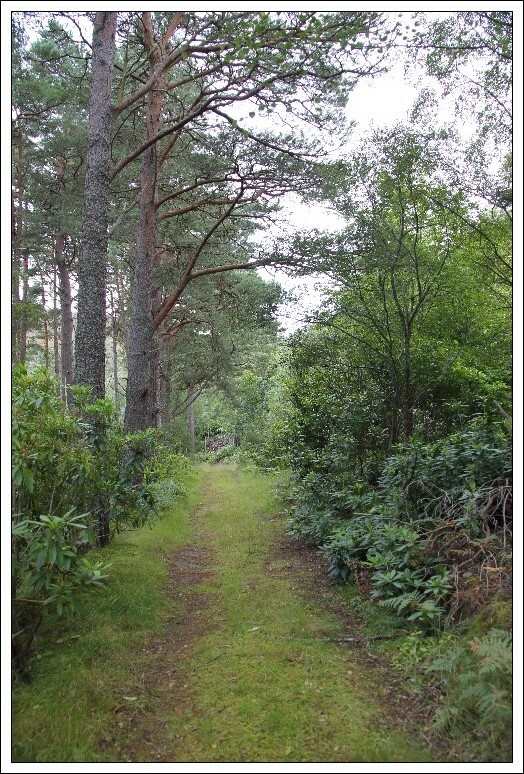 Once on the landrover track, I followed it back towards Cambusmore Lodge. During the walk back I stopped to look at the "hut circles" marked on the map but could not make them out. They may be more visible when the bracken is lower. 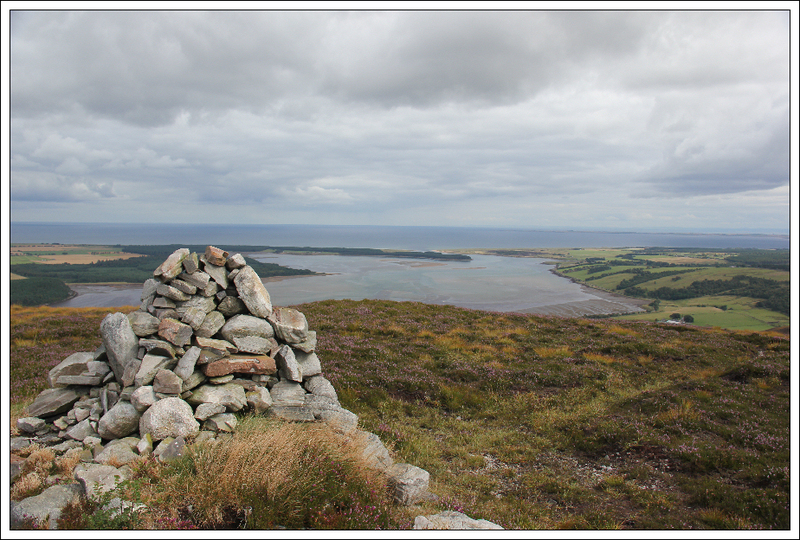 However the cairn marked on the map is highly visible. 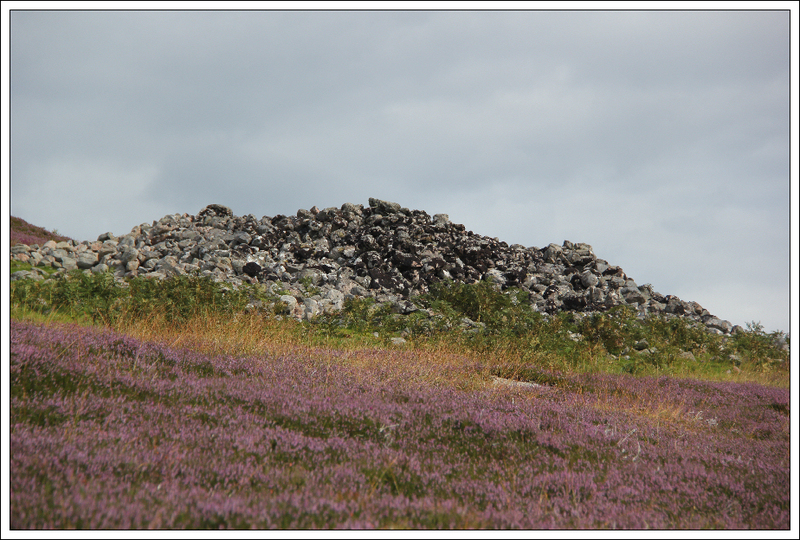 It is one of the largest cairns I have seen on a hill. I also stopped to look at the memorial. From a distance, I thought it was a very old cross. However, on closer inspection, this would appear to be a gravestone for two individuals buried here as recently as 1939 and 1958. 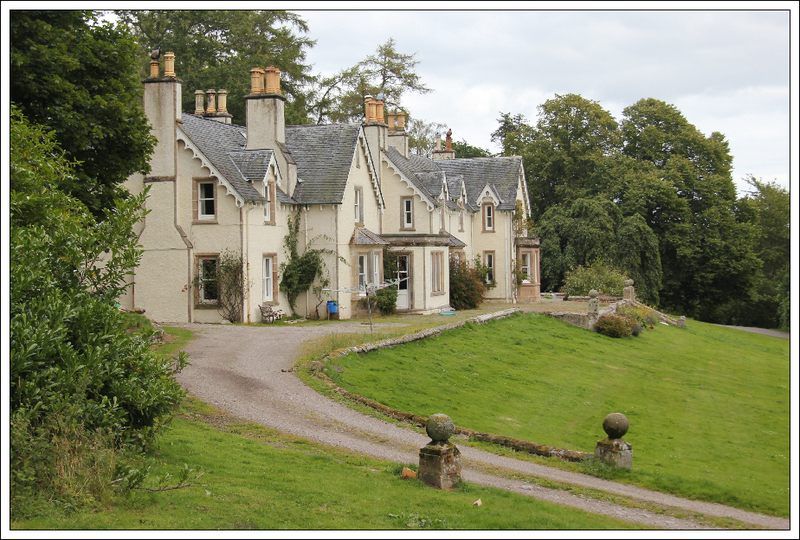 The track leading down to Cambusmore Lodge was pleasant. Disregarding all the invasive Rhododendrum, it was nice to see a wide variety of trees including Horse Chestnut, Hazel, Pine and Beech. 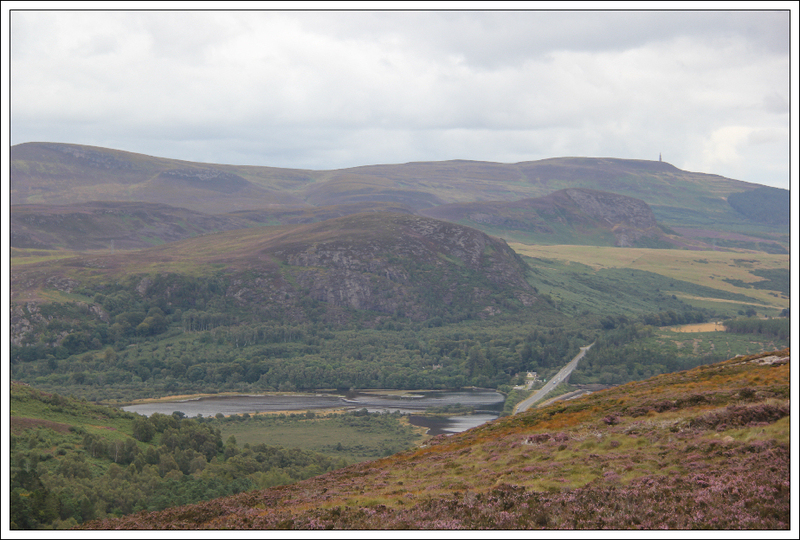 Beyond the lodge, I followed the track out to the A9 then walked along the A9 back to the car. 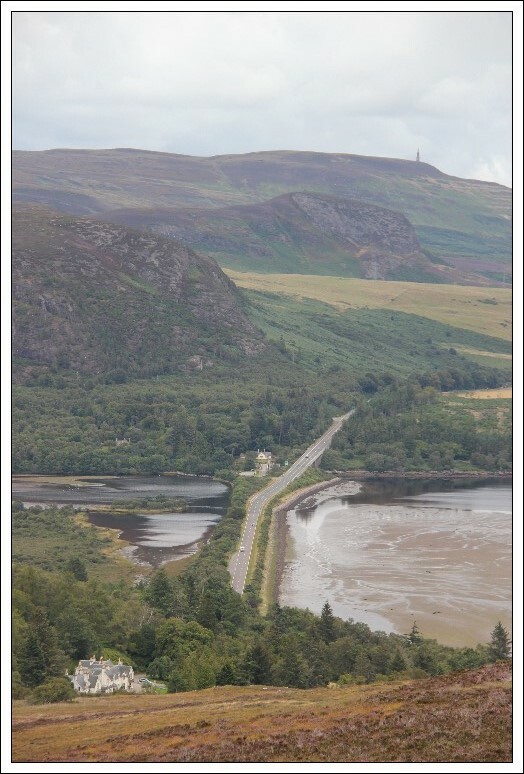 If following this route be careful walking along this section of the A9!